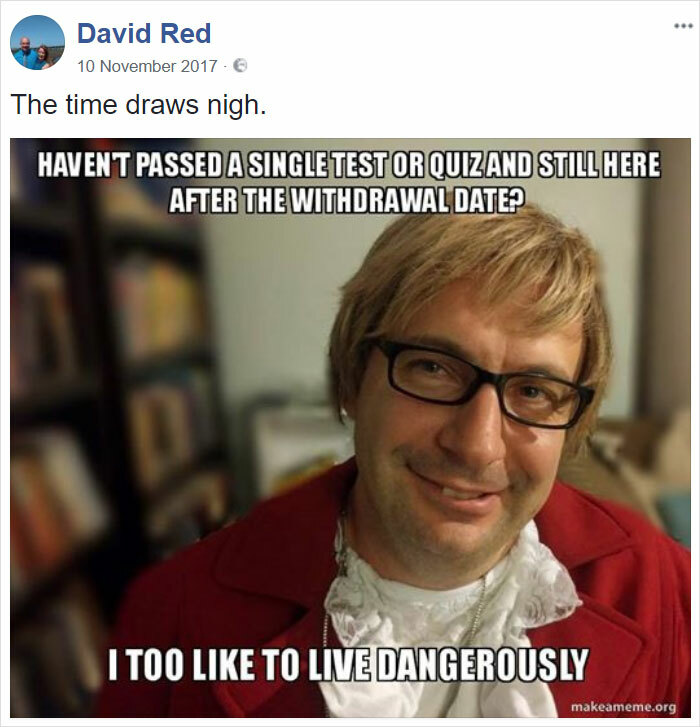 With the advent of the digital age, you could argue that the generation gap is as wide as it has ever been. 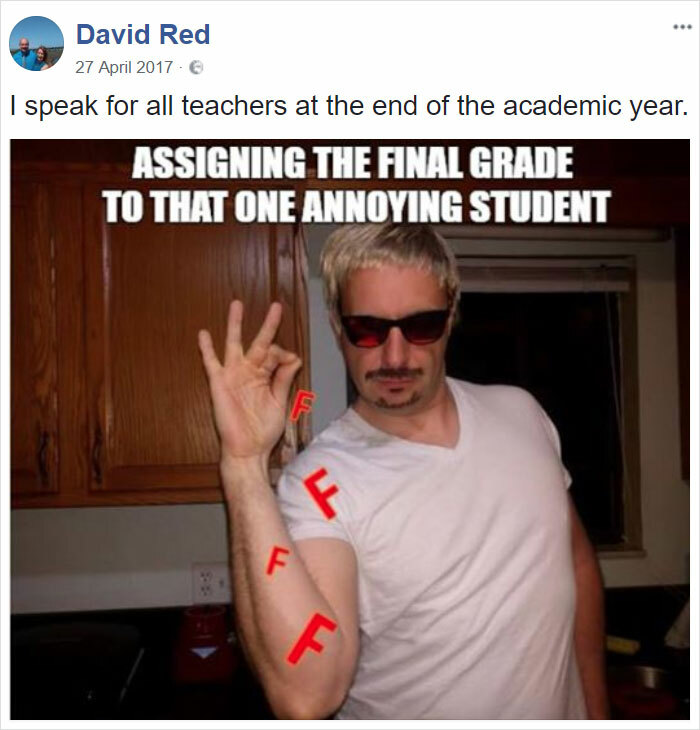 Nowhere is this more evident than in schools, where middle-aged teachers meet tech-savvy kids who have never known a world without Facebook, instant messaging and the ultimate modern form of communication – memes. 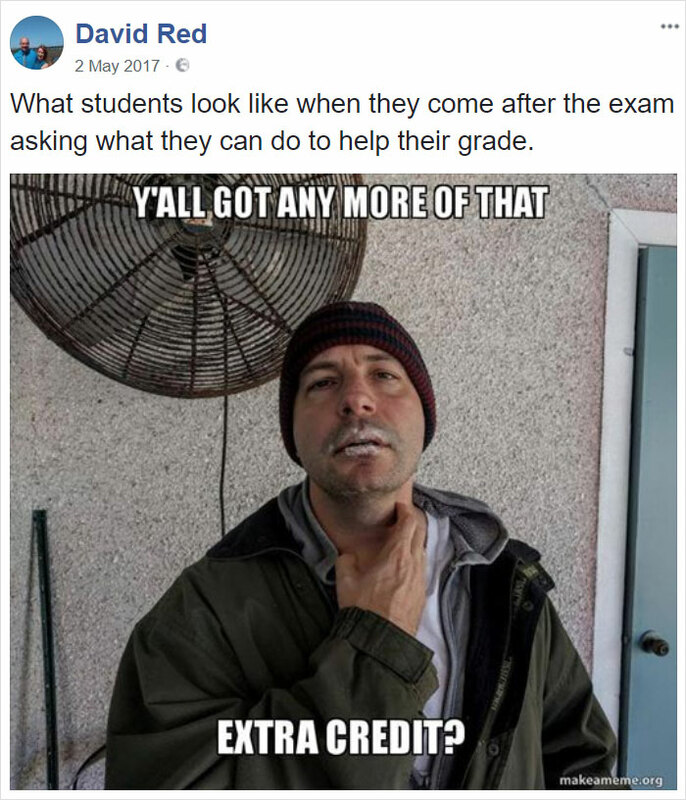 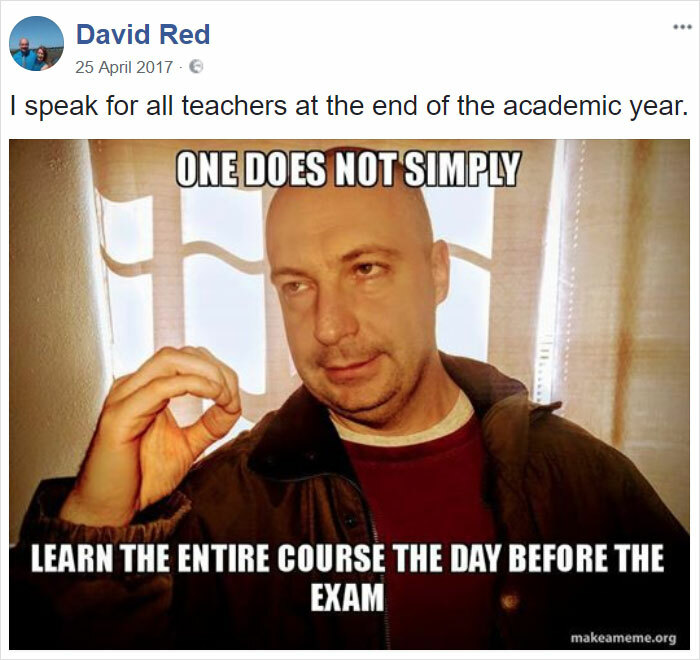 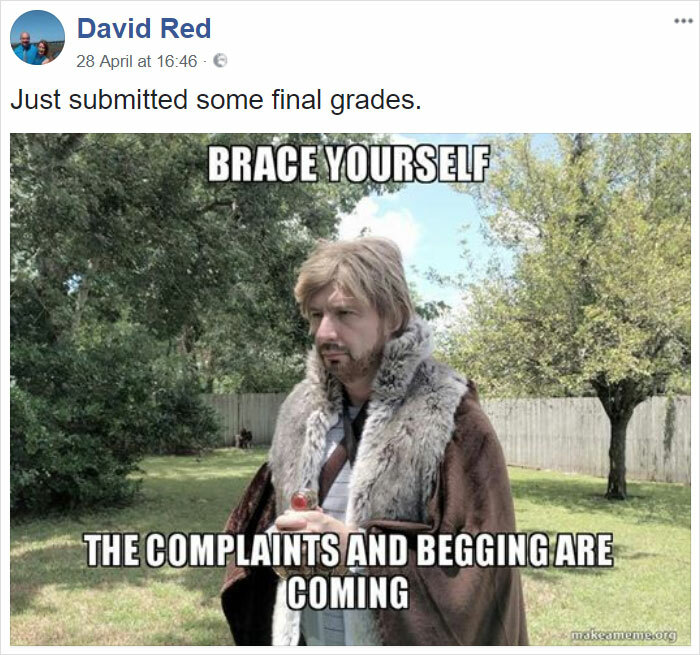 David Red, Professor at St. John’s River State College in Florida, is woke. 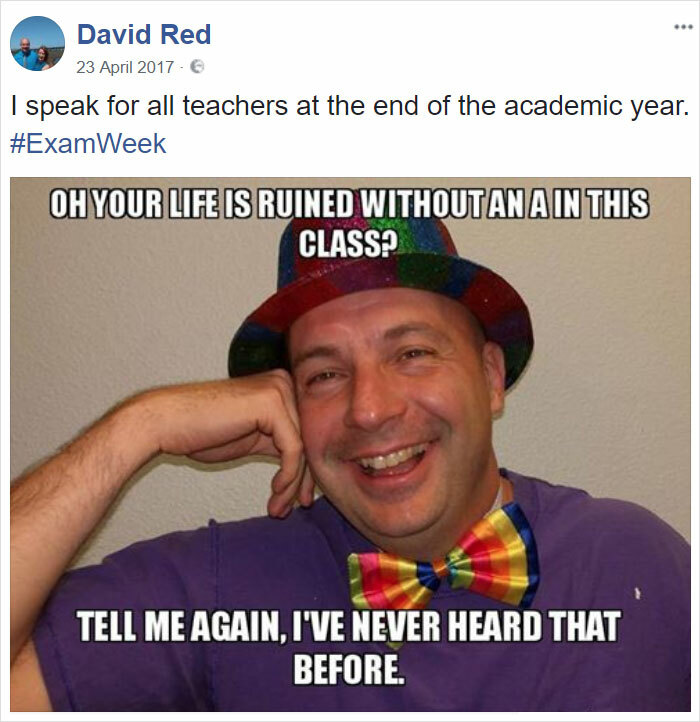 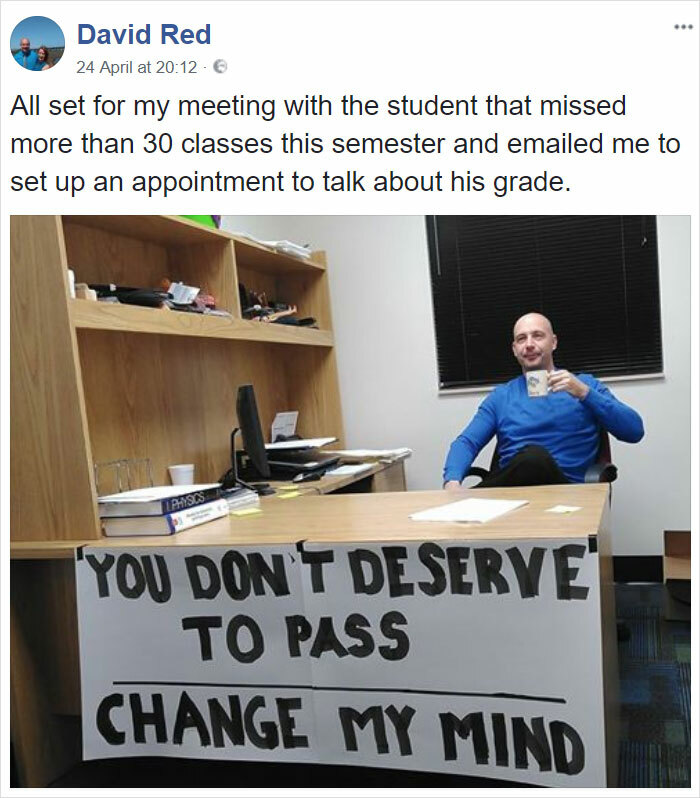 He knows that if he’s going to relate to his students, to be able to truly get through to them, he needs to be on their level. 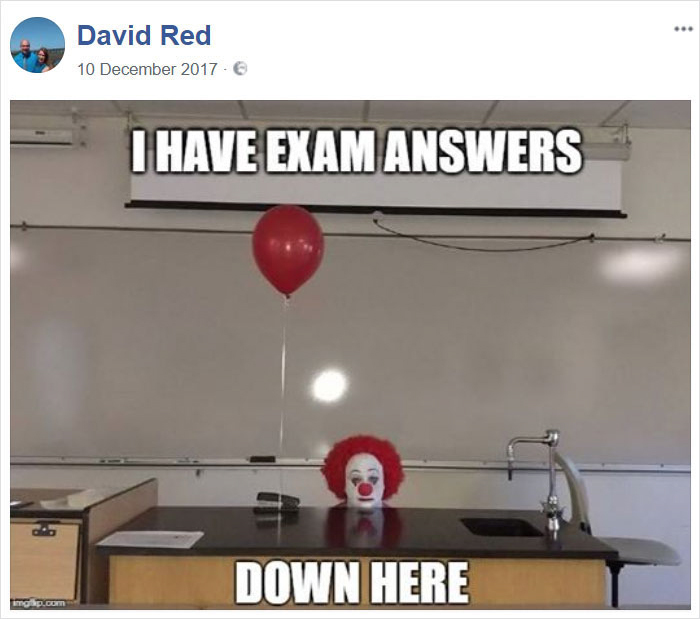 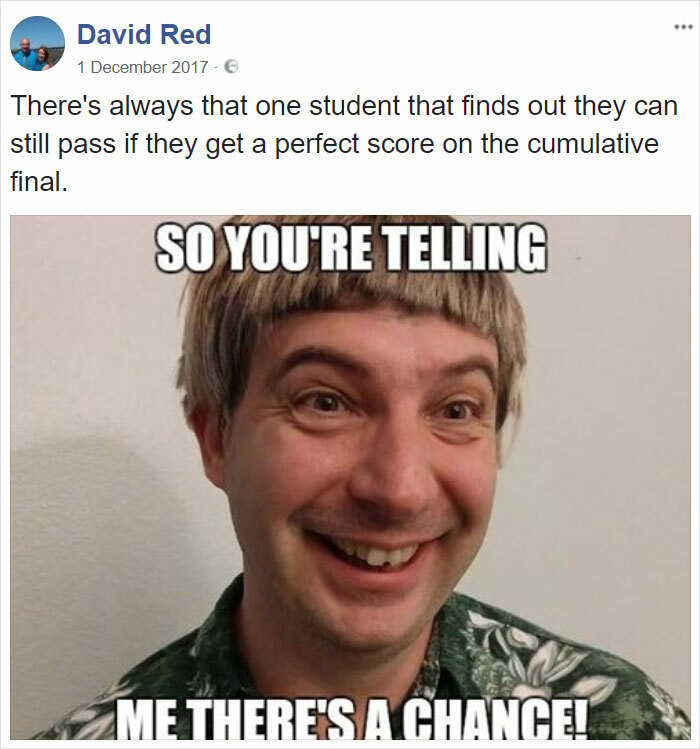 Do you recognize all of David’s memes? 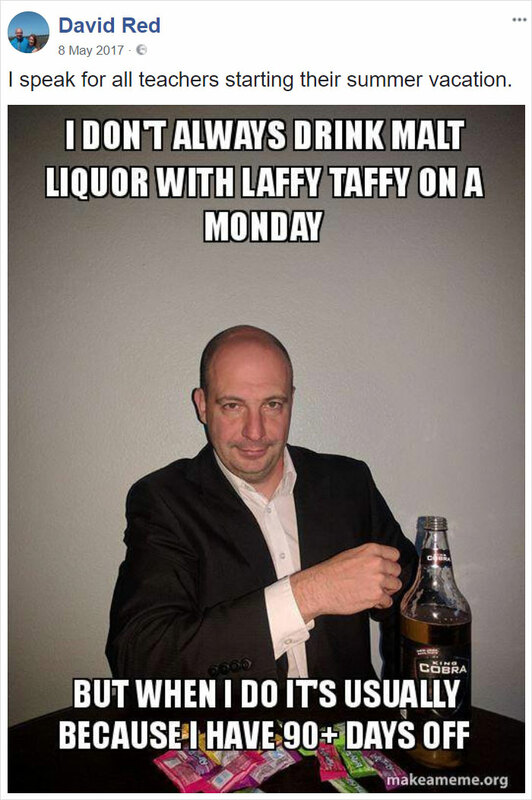 Scroll down to check out his hilarious creations for yourself, and let us know what you think in the comments!